I received a mysterious box filled with new Avon goodies a few weeks ago and I thought I'd share them with you. It has been a while since I've bought anything from the brand -- Avon is (was?) home to one of my favourite tinted moisturizers, though. It was the moisture tint... I think they may have discontinued it (sadface!!!) because I haven't spotted it in their booklets or on their website. Nonetheless, they've been coming out with some wonderful products. These are just a handful of them. These are a shadow & liner in one. They are creamy and they glide on so easily. They're fairly smudge-proof once they set, too. Six shades are available. The two I received are Gold Rush (a warm gold) and Cocoa Gleam (a bronze brown), while the other shades are Blue Starlight, Glistening Emerald, and Amethyst Dazzle. 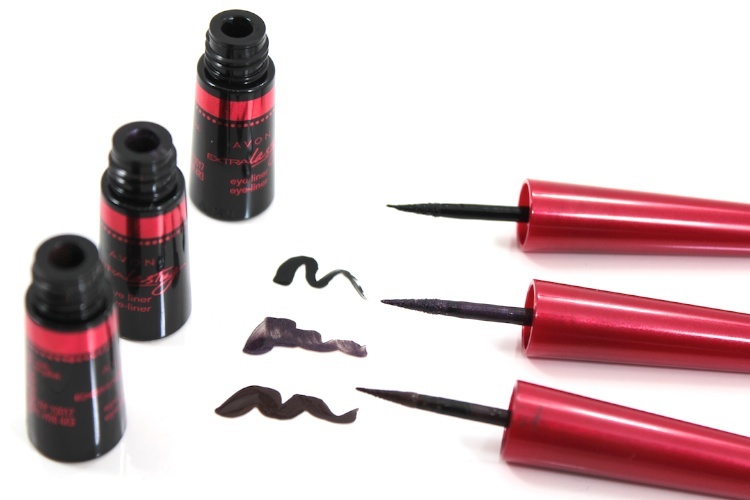 New liquid liners with flexible felt tips. They're also waterproof and are supposed to last up to 8 hours. 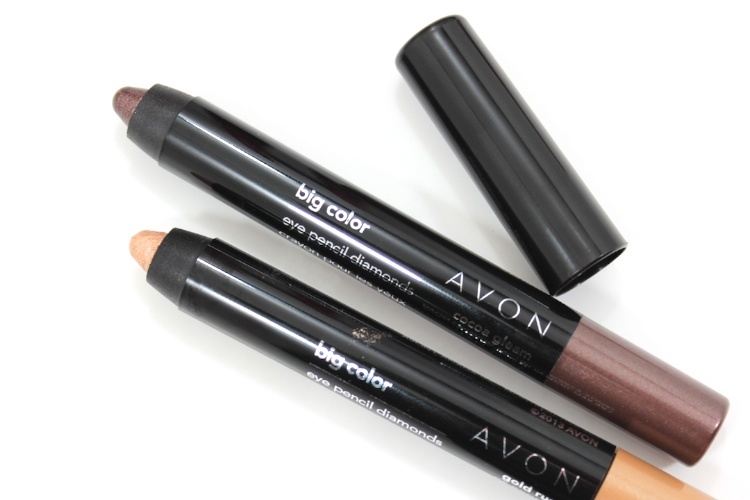 The applicator is easy to work with... the tip is fine enough to create a thin line, but also thick enough for a bolder application. There are at least three shades: black, dark brown, and deep violet. 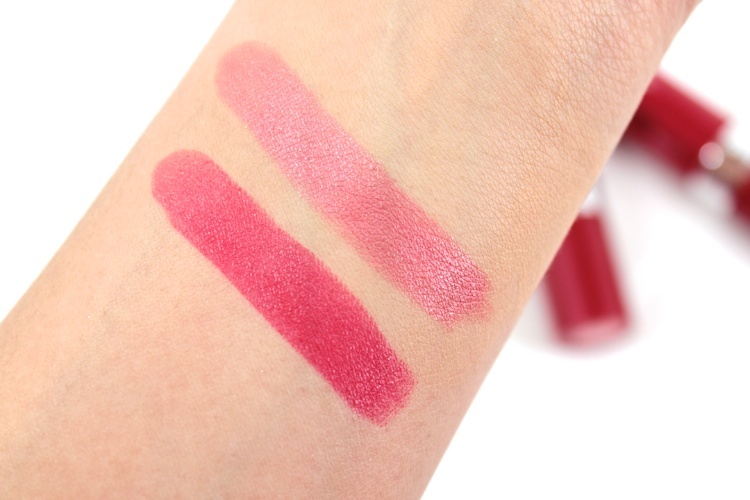 A long wearing lipstick infused with vitamin E and wheat protein. They're very creamy and quite moisturizing. I have two shades: fiery red (a creamy slightly orangey red) and pink peach (a satin pinky coral). 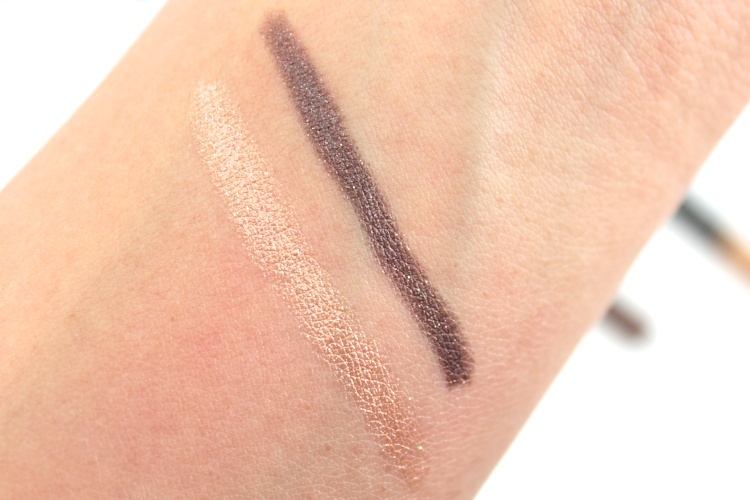 The pigmentation varies, but overall, they have good colour payoff. They also have a slight fragrance that I can't quite pinpoint. 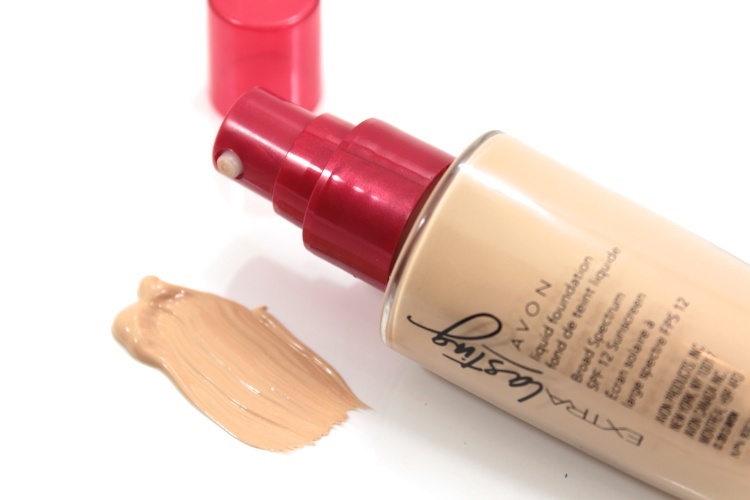 A long wearing foundation that is supposed to last for up to 18 hours. It has a satin finish and a sheer-to-medium coverage. It also contains a broad spectrum sunscreen of an SPF 12. It comes n a weighty glass bottle and a convenient pump. More in depth reviews coming soon, along with a peek into some of their new skincare lines! 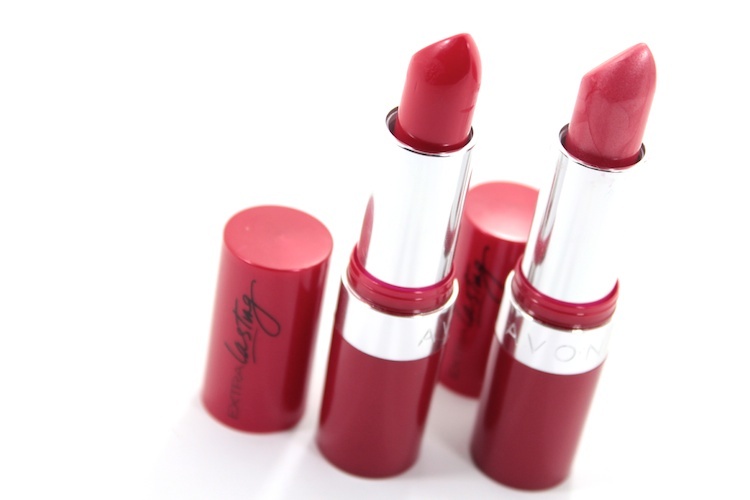 I'm not very familiar with AVON products but the finish of those lipsticks looks supreme!